Releases natural Hinoki Oil known as Cypress oil for its therapeutic benefits. We have gathered a total of 5 different bath salt choices for different aromatherapy and other health benefits for your needs. 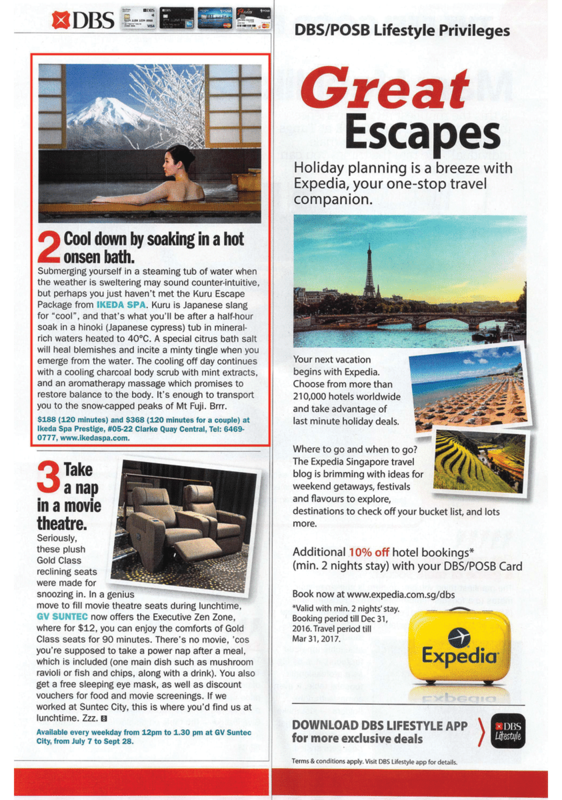 It's enough to transport you to the snow-capped peaks of Mt Fuji. Brrr. 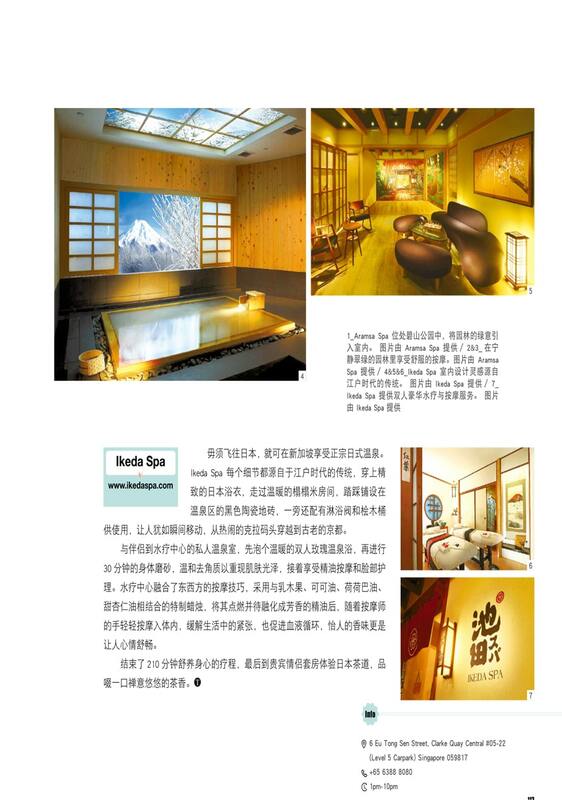 Ikeda Spa Prestige is flooded with warm lighting, wooden interiors and spa therapist speaking in soothing,hush tones. This is one spa i always enjoy visiting. I frequent the outlet at Bukit Timah -Sixth Ave. It is CLEAN and the staff are friendly. Therapists are professional and well-trained!! I go for a massage regularly – at least monthly. 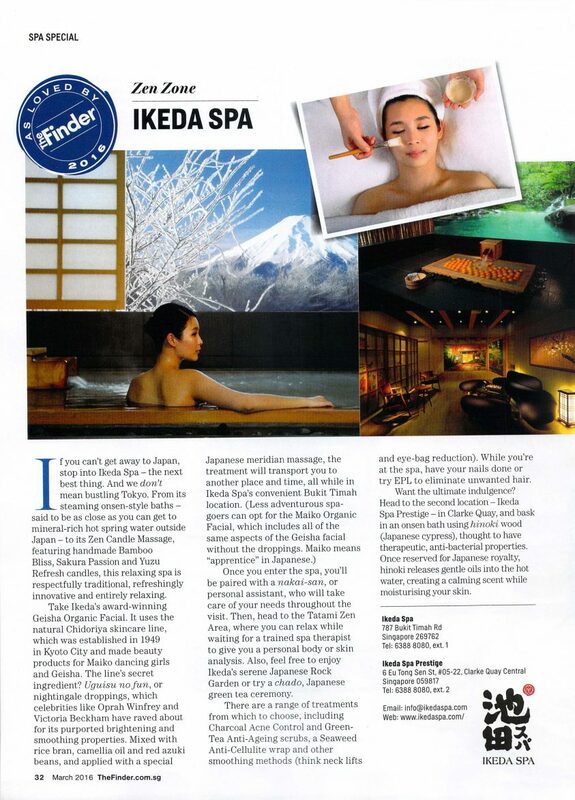 Ikeda is the best spa in singapore. Is clean, calm, and has a very soothing and zen quality atmosphere. 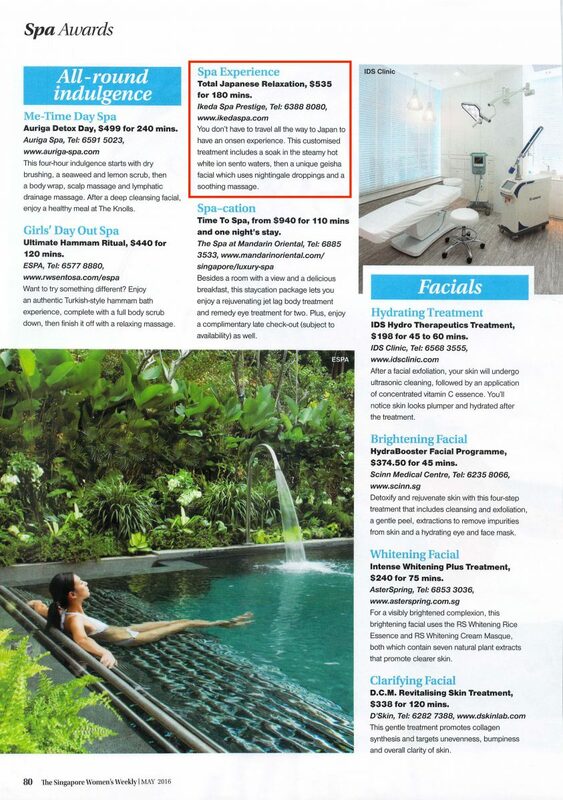 Preferred the Bukit Timah location as you can also get the personal hot baths there too. Jason (front office) was professional and Murni was excellent for her firm pressure massages. 5 stars!